Candice Johnson designed her art bra for her best friend and Art Bra Model, Erin Finney. Erin was diagnosed in August of 2013 and recently underwent a double mastectomy. In light of Erin’s journey, Candice wanted to create an art bra that would make her friend feel like a ROCK STAR on the Art Bra Austin runway. She was inspired by Erin’s true passion for music, and in particular, her love for old 70’s funk. 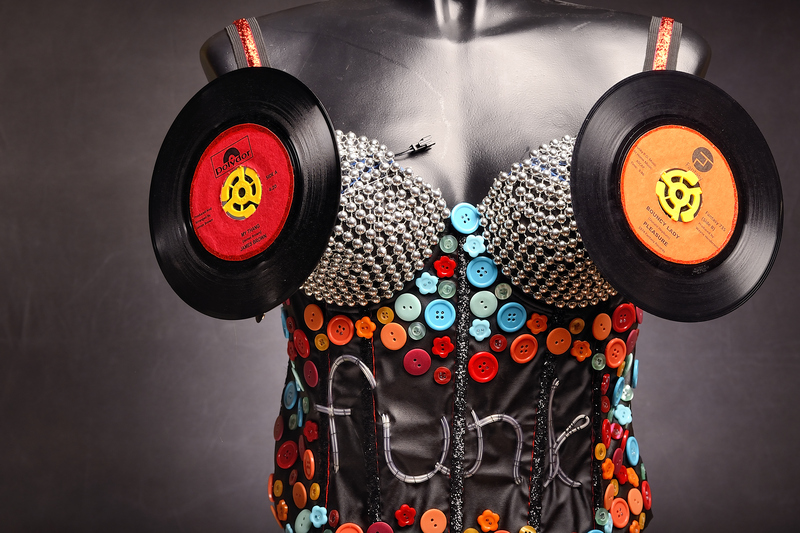 Candice worked with Erin to choose the specific titles for the art bra’s spinning records. They decided on using two hit records, “That Thang” by James Brown and “Bounce Lady,” by Pleasure. Ms. Johnson designed the records by recreating the liner notes, printed them on colored paper and then glued them onto existing 7-inch 45 rpm records. Candice loved designing this piece and can’t wait to see her friend getting down and funky on the runway! Candice is also the founder of the Austin Influential Group in February 2012 for the purpose of organizing artistic, themed events to raise funds and awareness for various charities in the Austin community. 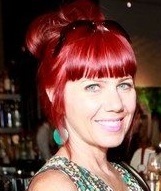 Learn more about this group by visiting https://www.facebook.com/AustinInfluentialGroup. Watch Candice’s video of her art bra creation in action!